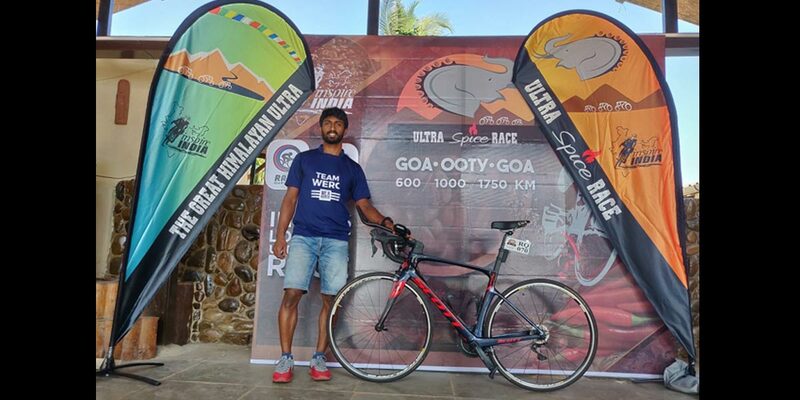 Dhanraj Karkera from Team WE R Cycling Mangaluru completed the 1750 km Ultra Spice endurance bicycle race, thereby becoming the first rider from the city to compete and finish this gruelling bicycle race. He is also the first endurance cyclists from Karnataka for having achieved this fete. Ultra Spice is India’s toughest and long distance endurance bicycle race, conducted by Inspire India. In it is 3rd edition; the race saw as many as 11 riders taking part in the event. The 1750 km solo category saw 5 riders including a lone lady rider Ila Patil. The race started right on the beach in Goa and follows the coast crossing Karwar and turning inland at Honnavar. Catching up on the Western ghat’s at Jog Falls, the route runs through the coffee plantations of Chikkamagaluru, Madikeri Waynad and takes a U turn at the land of tea at Ooty and finishes in Goa, through the same route. Flagged off at 7.10 am, Dhanraj began to ride in his usual impeccable way, crossing one control point after the other along the route. He completed the 1750 km ride and reached Goa around 7 pm, to a warm welcome right from 5 km to the finish line, with many riders and followers cheering him up all though the way. Having lost hopes, battling through the health conditions, Dhanraj along with his crew, scripted a unique story in the history of Ultra Cycling in India. His support team, lead by Sudhir Albuquerque, was credited with an award for ‘outstanding crewing’ in taking Dhanraj across the finish line. 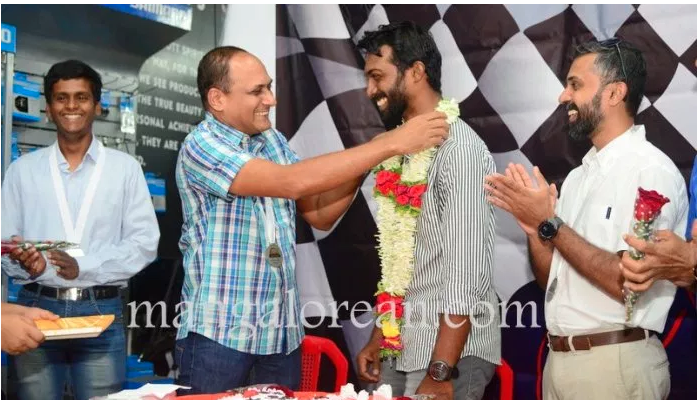 Kudla boy Dhanraj Karkera, a marine engineer by profession and cyclist by passion, shone in the 1,750 km solo Ultra Spice Race, India’s Longest Ultracycle Race, which concluded on January 31. Team WE R Cycling congratulated Dhanraj and his support crew for this outstanding performance.